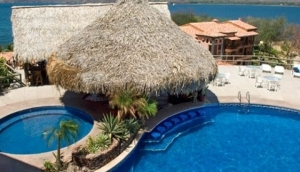 If your trip to Costa Rica is specifically to experience the great off shore fishing, scuba diving or boat charters that are offered in Costa Rica, you may want to consider one of the Marine Hotels that will welcome you with a huge smile. Perhaps your trip revolves around bringing your own boat to Costa Rica to personally explore the extensive coastline and vast marine life from your own craft. We have listed the most common Marine Hotels with pictures and information that allows you to start planning your trip now. Use the trip planner on our site to work out all the details!